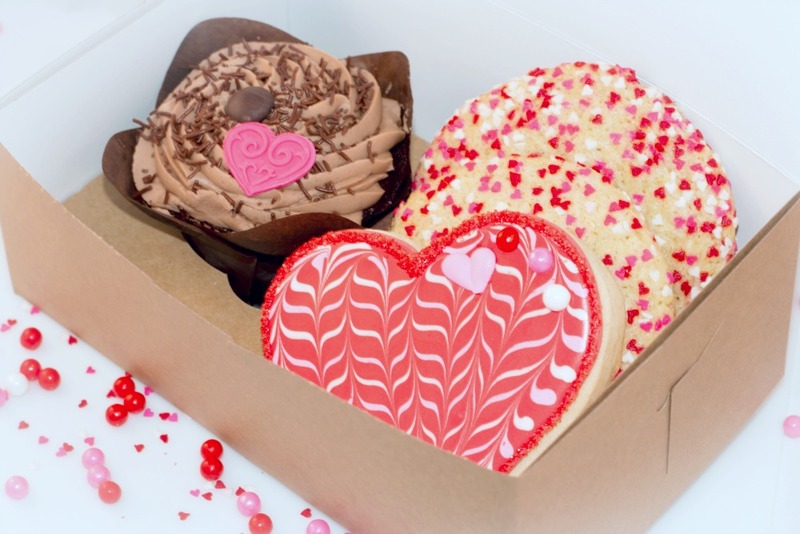 THIS FRIDAY 2/10 is the absolute LAST DAY to order your $12 Be My Valentine Boxes and cookies available for 2/13 and 2/14, 3-6pm pickup. See all details below. PLEASE get your orders in as soon as possible and ‘Thank You HEAPS’ for your lovely orders thus far! We won’t be able to sponsor a Social Media ‘SHARE’ contest this week, but promise to have an extra fun and different contest very soon <3. 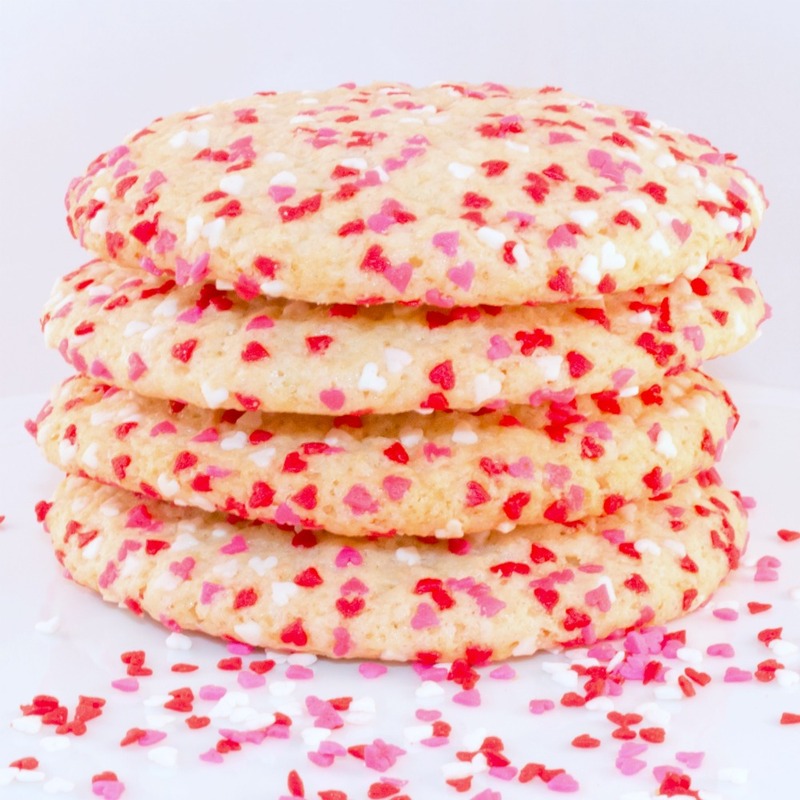 2/13 & 2/14 Valentine’s Box & AlaCarte Baking | Preset cupcake flavors and two cookies. Please order from this menu by 2/10 deadline. 3/4 CLOSED | We can bake for you on Friday 3/3 with afternoon/early evening pickup. Book online ASAP. 3/6-3/12 | LIMITED Baking WISD Spring Break. Book Online ASAP. 3/25 CLOSED | We can bake for you on Friday 3/24 with afternoon/early evening pickup. Book online ASAP. 4/8 CLOSED | We can bake for you on Friday 4/7 with afternoon/early evening pickup. Book online ASAP. Tired of boxes of chocolates and gorgeous flowers on Valentine’s? Me neither, but how about a variety of four delicious confections in one box? A sweet and simple way to say ‘You’re Special’, because they are… Perfect for your children, teachers, friends or that special someone…and just maybe, order one for yourself! More on Cupcake Flavors Here. Carefully presented in a box tied with a raffia ribbon bow and a write on Valentine label that allows you to put your ‘To’ & ‘From’! FRIDAY FEBRUARY 10th at MIDNIGHT, for BOTH baking days. No exceptions, apologies! Each year we have overages daily that we post on our FACEBOOK page but we cannot guarantee them. Thank you for understanding our organizational methods. We strive greatly to get you the freshest cupcake and cookies ever! As well, the decorated sugar cookies need a 48 hour lead time. Thank You, thank you again heaps! Cupcakes ONLY can be ordered after 2/10 via the online order form as long as orders are in 4pm the day before your pickup date so Sunday 4PM for Monday, Monday 4pm for Tuesday. Monday, February 13: 3-6pm Pick Up *IF we’re running a bit early on this day, we’ll let you know via email. Tuesday, February 14: 3-6pm Pick Up *IF we’re running a bit early on this day, we’ll let you know via email. Cupcakes are baked FRESH each morning. You will receive an automated email once you hit SUBMIT. You’ll receive a secondary personal email withing 24-48 hours (weekend withstanding). Thank You for placing your orders by deadlines listed above before your preferred baking day(s). This helps me to prep for the next day’s baking. If you miss the deadline, no worries, I’m sure I’ll have some overages as baking batches are always uneven. Remember ‘weekend’, this type of baking, is super fun… NO ‘dozen’ MINIMUMS (Full Size) because you’re basically ‘piggy backing’ onto existing orders… so go for that box of 4 or 6 with lots of fun flavors.